Ilala 29 - Simbithi - Chakas Rock / Shakas Rock Accommodation. New, stylish apartment in Simbithi. The unit is furnished in modern contemporary furniture. The apartment has partial views of the sea and is in walking distance from the swimming pool. Thompson's Bay beach is a short walk from the pedestrian gate in the estate. The unit is fully serviced with a modern open plan kitchen which is fully equipped with washing machine, dishwasher, microwave, fridge, hob and oven. This unit sleeps 6 very comfortably. The main bedroom has a neat ensuite bathroom with a bath, basins and a shower. This apartment is very comfortable, with an open plan lounge and dining room. These areas have sliding doors giving the inside/outside living experience. 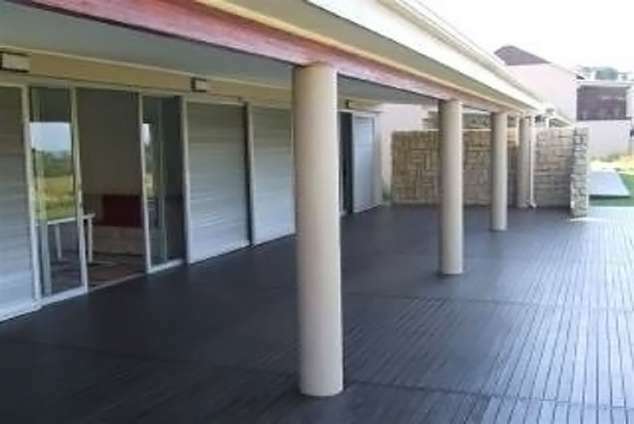 This leads onto a covered patio with braai. Simbithi is nestled between the coastal towns of Ballito and Salt Rock, the heart of KwaZulu-Natal North Coast. The estate has a clubhouse with a pool. Tennis courts are available. Amazing bird watching facilities and walking trails are at there to complete the experience. The area is a golfers paradise. The estate itself has a 18 hole golf course and there are other golf courses within a short drive of Simbithi. The Lifestyle Centre which is a short driving distance from Simbithi has great shopping facilities, restaurants and coffee shops. 63293 page views since 12 Aug, 2008. Last updated on 18 Dec, 2018.